Maui Magic can accommodate private charters of up to 45 people and is the ideal boat for small corporate groups, private parties, or large families. We can customize any trip and adventure to make your special Maui event memorable! The Maui Magic is really the perfect laid-back and hang-loose boat for your corporate function, private party or special Maui event. No stuffy starched linen tablecloths here! The very first items on your group's menu will be FUN and ADVENTURE! Hosting your private charter aboard the Maui Magic feels more like a relaxed backyard BBQ. Except our backyard just happens to be the beautiful, blue Pacific Ocean! It's a day in the sun snorkeling with turtles, searching for dolphins and seeing a side of Maui that only a lucky few will get to see. Wedding parties tell us that their private charter was an ice-breaking affair, creating a casual and relaxing way for their families and guests to get to know one another better before the big wedding day. One, really fun and creative, wedding couple used our boat for their wild and wacky reception! 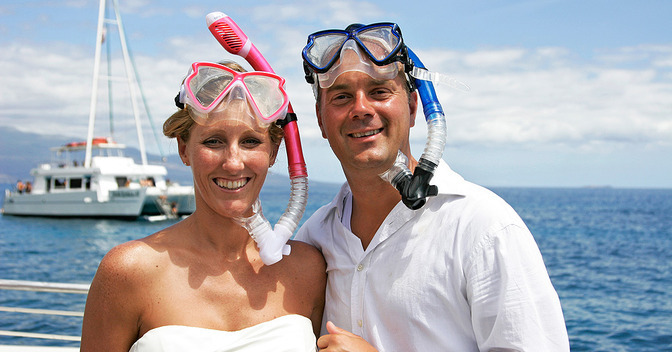 They donned their snorkel gear, along with their wedding attire, and did a "trash the dress and tux” event, by jumping off the boat, together hand in hand, into Maui's crystal blue waters! 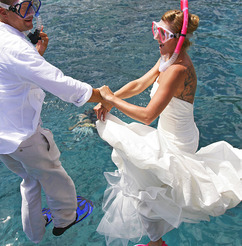 Now that is one way to create lasting memories and a great beginning to any marriage! The adventure of an Ocean Raft... But BETTER! If you want the adventure and thrill of an ocean-going raft for your event... Maui Magic is that and more! Running water and bathrooms are things that ocean rafts are not equipped with. However, the Maui Magic is equipped with above mentioned creature-comforts and a galley to serve up some tasty food and more! She also offers more deck-space, comfort and seating capacity than any of Maui's biggest ocean rafts. Our boat is the ideal vessel for large families or small groups who wish to privately charter her to take them snorkeling for the day! 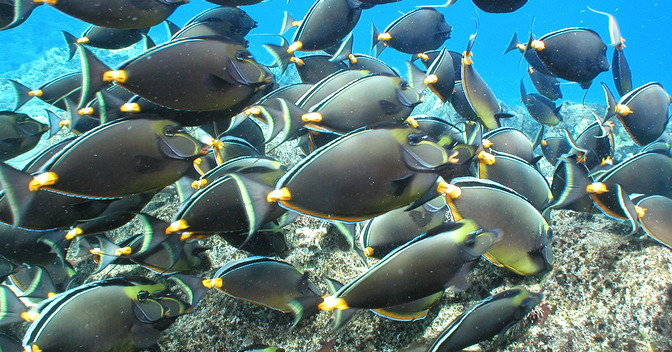 We are one of the few vessels, on Maui, that offer ADVENTURE SNORKELING! 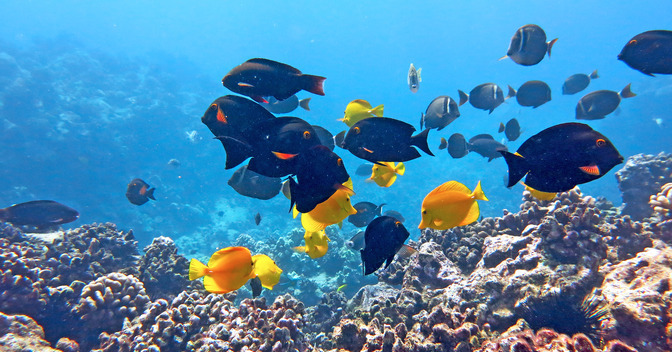 Unlike other vessels that can only offer a few snorkeling destinations, the Magic has dozens of snorkel spots it can access. With our skilled captain's knowledge of Maui, and prevailing conditions, the Maui Magic can take your group to some of the most amazing sights and explore Maui's rugged coastline. Or if your group just wants to chill-out and enjoy a leisurely cruise, that's cool too! We can even find the shelter of a secluded cove where you can enjoy food and cocktails. We offer a bounty of possibilities for your function! This is where the Maui Magic really excels! Our skilled captain and seasoned crew know all the best spots! 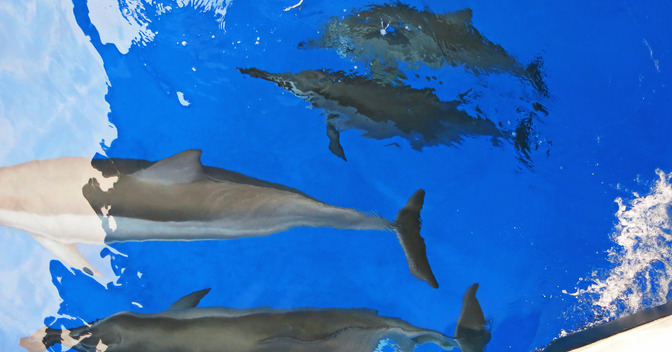 With the help of Maui Magic's powerful engines and wave-splitting hull design, she can access the best locations where you can snorkel with turtles or take you to the places where you can get the chance to see dolphins in the wild. 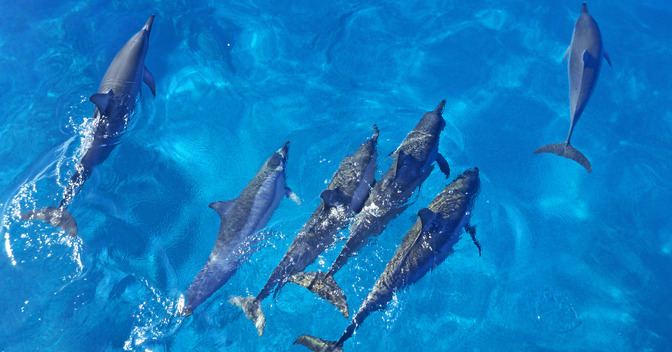 Not every vessel can get to these special destinations and see the wide-variety of marine-life like the Maui Magic can! During whale season, the Magic is the perfect boat to watch the whales because of her speed and agility. The protected sanctuary, that the whales occupy during the Humpback whale season, is comprised of an area that extends for many, many miles and you need a fast and nimble vessel that can access the pods of whales which are spread-out over this vast amount of ocean. This is why she is really the perfect vessel for your private whale watching expedition. Because the Maui Magic only has regularly scheduled morning tours, she is available for Exclusive Private Charters for your group or family from 1:00 pm and on. Economically, this is a great option for a fun-filled afternoon spent snorkeling, whale watching during the winter months, or just plain enjoying the scenery of this island from the boat. We can accommodate anywhere between 4 and 45 passengers on this exclusive private charter. There is a flat fee for the afternoon boat tour and crew of $1800 ($2,178.99 including taxes & fuel surcharge) or you can add an extra hour for $600 ($643.00 including taxes). This includes all your beverages of beer, wine, soda, juice, and filtered water, at our Tiki Bar, plus snorkel gear and expert instruction. Should you wish a barbeque lunch, we’ll be happy to fire up the grill and serve hot and tasty hamburgers, veggie burgers and hot dogs, complete with all the trimmings for $8.00 per person ($8.57 including taxes). We’ve hosted family & school reunions, graduation celebrations, wedding parties, corporate group events and small company parties. It makes for a fun and relaxing atmosphere. Sort of casual & carefree, just what your Maui vacation should be! An exclusive afternoon charter of the Maui Magic means you will have exclusivity to the vessel and be the only people onboard. We can accommodate up to 45 people and the adventure can be totally customized to your group's needs(Including menu items). Please give our reservationist a call, or send them an email, to let them know the date of your desired tour and all your requirements. You will receive an itemized quotation via fax or email. Options for Small Groups Too! 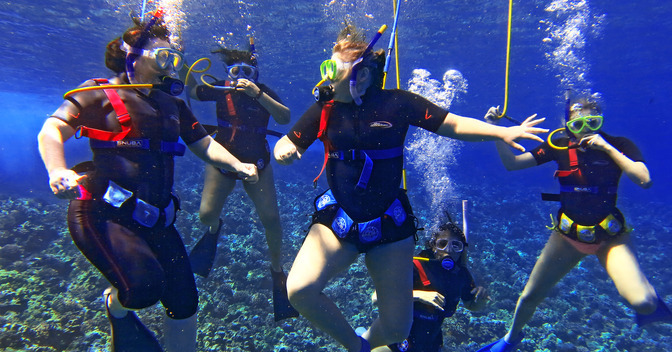 If you have a party between 12 and 20 people that you would like to put on one of our regularly scheduled snorkel trips (rather than buying out the whole boat), please give our reservationist a call and they can offer you a larger discount for you group and manage all of the details. You can discuss arrangements for both Small Groups and Exclusive Afternoon Charters with our Reservations Desk, which is open 7 days a week, from 7:30 am to 7:30 pm (Hawaii Standard Time). You can be assured that all communications, details of your private event, and all transaction information are done under the utmost confidentiality. 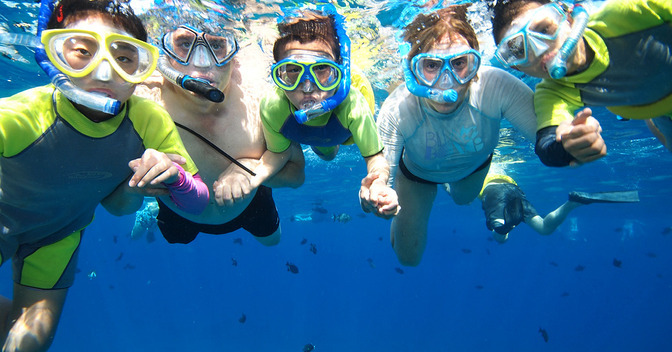 Our famous morning Dolphin Discovery Adventure Snorkel can be purchased as a private charter for up to 45 people. Or, we can change the destinations, snorkel spots, passenger ages and even the menu selections to better-fit your group's needs. Please call to discuss the details and requirements of your event. You can additionally email the specifics of your private charter request to sales@mauiclassiccharters.com. You will receive a itemized quotation via fax or email. You can be assured that all communications and all transactions are always done under the utmost confidentiality. Prices for the Morning Private Charter depend on customization, menu needs and number of passengers. Please call or email. Morning Private Charters, on the Maui Magic, are arranged through our Sales Office which is available Monday to Friday from 7:30 am – 3:30 pm (Hawaii Standard Time).